If you’re new to digital advertising, you may have heard about pay-per-click (PPC) advertising and a variety of buzz words related to internet marketing or digital marketing being thrown around. As a beginner, the unfamiliarity of the terms can be somewhat overwhelming. Fret not – by the end of this article you’ll have a better handle on what PPC is, and what it can do for your business. Let’s start with a quick overview. In traditional advertising, you pay a fixed fee for an ad space on a magazine or newspaper. These ad spaces normally don’t come cheap, so you often have to invest a significant chunk of moolah without knowing for sure that anyone is even going to see your ad. 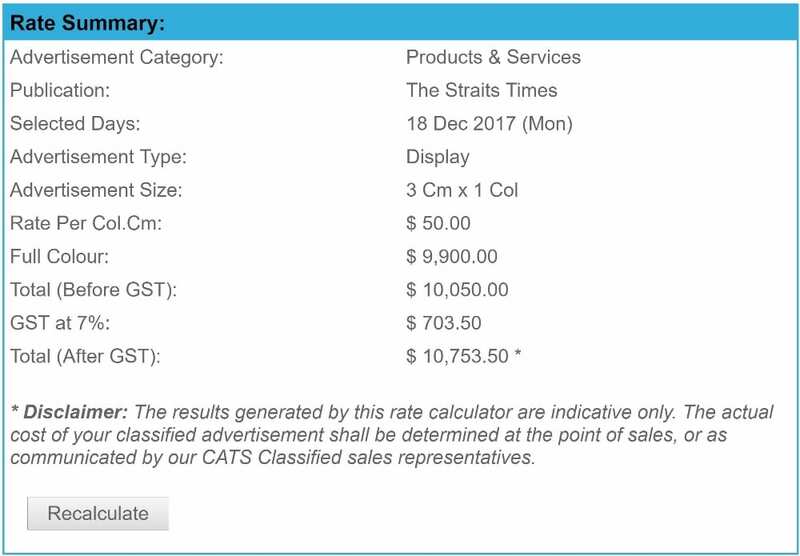 For reference, the cost of a full colour display style advertisement on The Straits Times in the smallest available size on a Monday costs an estimated $10k. That’s a lot of cash to cough up for a small business! PPC advertising is a digital advertising model where you pay only when someone clicks on your ad. Google AdWords is one of the most popular platforms for this, but Bing and Facebook (and many others) also use this advertising model. There is no minimum amount to get started. You can make a small one time top up of $10 to get your feet wet experimenting with running some ads, or you can jump in with $1000. You decide how much you can spend, based on whatever budget you have to work with. You only pay if someone clicks on your ad. The amount you pay each time someone clicks on your ad is called your cost-per-click (CPC). Sounds like a good deal right? It’s a great advantage to be able to pay as much or as little as you want. For small business owners, this means you can start with a small budget to see how your ads perform. Herein lies a third advantage to digital over traditional advertising – data. With traditional advertising, it is often a massive guessing game. Fire away at a few platforms. If you have a sudden influx of customers, there is no way to know if they came because of an ad you invested in, or whether it was because an influential but random somebody decided to recommend your business to all their friends. Many platforms such as Google AdWords are able to track clicks and conversions. 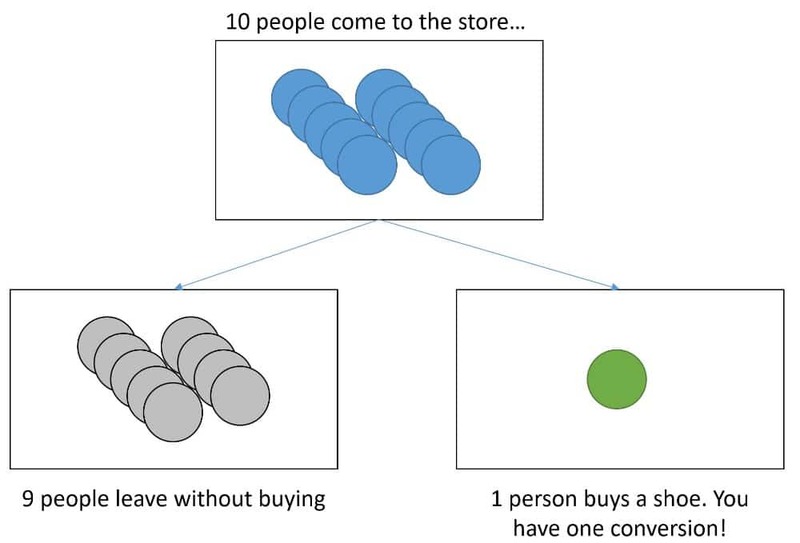 A conversion is defined as the visitor completing an action that’s valuable to you, the marketer. After the initial set-up, Google AdWords is able to tell you if a click resulted in the visitor accomplishing your intended goals. Quick example – let’s say after running your ad for a week, 100 people click on your ad for basketball shoes. Google AdWords will be able tell you that 10 people bought shoes from your website (10 conversions) after clicking your ad, for a conversion rate of 10% (a little high, but this is just for illustrative purposes). By now you should be starting to see the power of digital marketing. If they perform well, scale them up. If not, refine. Let’s take the example further. Deciding that your ad can do better than that, you roll your sleeves up and flex your creative muscle. After running your ad for another week, you have another 100 clicks. This time, 20 people have bought your shoes (20 conversions). Your conversion rate has jumped to 20%! You then pop a bottle of champagne and congratulate yourself on a job well done. Of course, it’s not all sunshine and roses. Just as ad spaces charge differing amounts based on readership, so too can your costs go up or down depending on competitors. It is possible to get clicks for as low as 10 cents, and though rare it is also not unheard of for CPCs to go above $100 per click. For a more detailed overview of digital advertising strategy, check out this digital marketing strategy guide. A Comprehensive Guide to Hiring a Digital Marketing Agency Digital Marketing Salary Guide – Singapore.